We offer some technical data for you to become familiar with the technical terms associated with wheels and rims (mags), which are complementary products to the tires. There are many types of wheels, each made ​​of various materials. 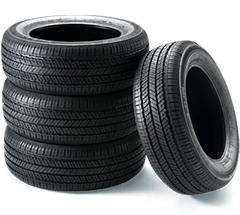 Moreover, wheels and rims require some maintenance to ensure safe and smooth driving. 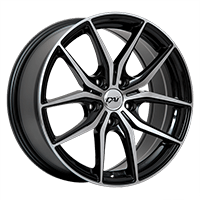 To know more about alloy and replica wheels, visit this section. We present the advantages of these types of wheels and the elements and aspects of their manufacture. There is a another type of wheel on the market called Take Off wheels. These wheels have already been used, but only in restricted conditions. To better comprehend the importance of the wheels' components, it's important to know and understand the technical terms. In our different sections, we provide information on the wheel offset, which is the distance between the portion of the core of the wheel and the centerline of the wheel (see 3 types of offset), the bolt circle, which includes four possibilities of sizes (see conversion table) and the wheel center bore compared to the vehicle hub for a perfect centering. We also discuss the difference between bolts and nuts and the purpose of a centering ring. Wheel alignment, sometimes referred to as “tire geometry”, has to be performed to ensure safe driving and to reduce tire wear. Ideally, you should schedule an alignment before you notice your car tends inward or outward instead of a straight direction of movement. Under normal driving conditions, alignment should be done as often as tire rotation or every 10 000 km. In our wheel alignment section, we discuss the variables likely to unbalance the alignment and what can be done to restore everything and bring the alignment to normal.